“I was delighted with Pleasant Company last year (second), but never thought he was going to get there. Maybe he will this year. It’s been the main plan for him this year, as it has for a few others. 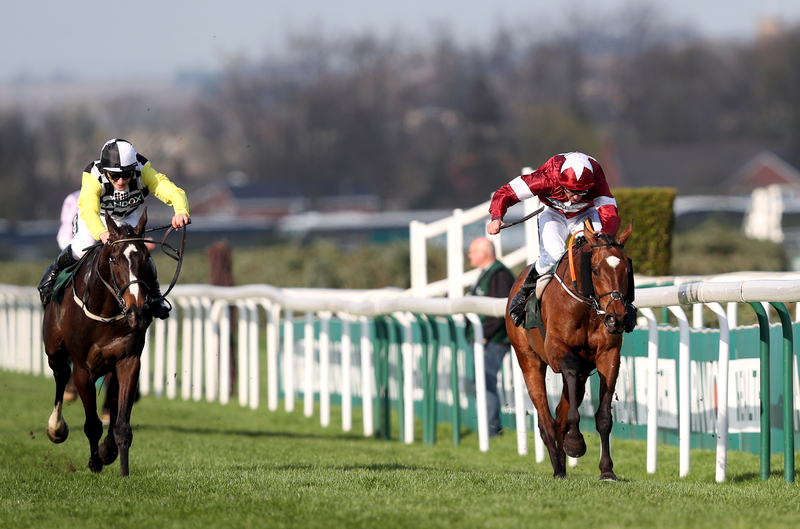 “Rathvinden may go for the Bobbyjo Chase at Fairyhouse or the Leinster National at Naas. Those are the two races most of mine will have to go for as there are no other suitable ones. It will probably be Naas for him. “Up For Review ran well in the Thyestes after Paul (Townend) took him wide. I hadn’t realised how well he ran – it was a fantastic trial. “Polidam and Isleofhopendreams might not get in. Livelovelaugh ran well the other day and needs further. “I was disappointed with Some Neck the other day, while Pairofbrowneyes still needs to qualify despite having won over two miles and seven and a half furlongs at Gowran – which would be like four miles elsewhere! “The owner quite rightly wants to run Elegant Escape in the Cheltenham Gold Cup first, so that’s his plan for now, but he ticks a lot of boxes for a Grand National and we’ll make a decision after the Gold Cup. “I’m not sure Sizing Codelco will make it, we might be looking more at the Scottish National for him. “Royal Vacation is a Grade One winner who had a bad season last year, but he’s come good again. He’s got a quiet chance – if he got into a rhythm he’s got a bit of class. “The Dutchman has had a setback and might not make it, but this has been the plan for Ultragold as he’s got such a great record over the fences. “Obviously 10st 10lb is a super weight. Whether the weights will go up or not, we’ll have to wait and see. “We’re happy with him at home and we think we’ve got his jumping sorted out. He was quite sore in his back and his sacroiliac joint after his last run at Haydock, but he’s having plenty of physio and doing plenty of schooling. “It doesn’t look like he’ll be able to run at Haydock on Saturday because of this new vaccination rule. He’s only a couple of weeks out. “He could go to Kelso on March 2 and then hopefully on to Aintree from there. “In the last few years a mark of 144 would normally get you in, so hopefully it will this year. “He’s in very good form and I’m looking forward to running him. “If the ground came up soft he could go for the big three-mile chase at Kempton (888Sport Chase, February 23). I don’t think he’d win that, but it would be a nice prep race. “I wanted him to be under 11st ideally, so I’m happy with that. “I think we’ll definitely aim at Aintree now. I’ve never had a runner in the National before, but he looks like a National horse to me. “I’ll definitely need to give him a run beforehand as he hasn’t run since the start of November. “We’ll see what happens, but I’ll probably give him a run over hurdles somewhere. “It looks like he’s on a nice weight, but the big question is if he gets in. “The experts seem to think he will do, so we’ll just have to see. “I’m very pleased with him. There’s a possibility he could go for the Grimthorpe at Doncaster, but the ground can sometimes be quite quick at that meeting. “The Last Samuri is in good form. We were looking at the Eider at Newcastle, but now the handicapper has dropped him to a mark of 150 we’ll probably go for a veterans’ chase at Newbury on March 2. “Hopefully that will tee him up for another crack at the National, if that’s what the owners want to do. He would be our first runner in the National, which would be hugely exciting. “Plans are a little bit more up in the air as far as American is concerned. Obviously he needs heavy ground to be at his best. “He’s entered at Kelso this weekend, but the ground won’t be soft enough for him there so we’ll look elsewhere. “I’m happy with the weight and this has been a plan all season. “Obviously he won the Kim Muir last year. We ran him in the Becher, he ran very well and we’ve saved him until the weights came out. “He’ll either run in the Eider at Newcastle or wait for Kelso in early March. “We’ve been very happy with him. He’s got a bit of class and seems to rise to the big occasion. “Hopefully he’ll get a run, that’s the main thing. He’s 59th on the list and that would normally get you in, but it could be cutting it fine. “He’s ready to run and could have run this weekend, but he can’t because of this flu vaccine situation. “He’ll be entered in the Kim Muir at Cheltenham and there’s also the Pertemps Final, but I’d doubt he’ll get into that. “If he doesn’t go to Cheltenham then there’s a veterans’ chase at Newbury he could go for. “I’m happy with his weight and he’s in good form. “His mark looks high enough, but he’d definitely get a run at least, which is good. “The cross-country in Cheltenham is on his agenda and that’s his number one target.